The word granite comes from the Latin word ‘GRANUM’, a grain, in reference to the coarse grained structure of such a crystalline rock. Granite is an igneous rock which is formed when molten magma slowly cools in the earth. The grains in granite are made up of crystals of quartz, feldspar, mica and horn blade and is normally medium to course grained. Granite can be coloured from pink/white through to dark grey/black, depending on their chemistry and mineralogy. Despite being fairly common throughout the world, the areas with the most commercial granite quarries are located in Spain, Brazil, India, Finland, Norway, Angola & Zimbabwe. Can I cut/use knives on my granite? Yes. Using knives will not damage your granite as granite is a lot harder than your knife blades. It will more than likely blunt / dull you knives if used regularly on granite. We suggest using a glass or wooden chopping board to prolong the life of your knives! Granite stone is second only to diamond in hardness and is nearly always massive and tough, and it is for this reason that it has widespread uses as a construction stone, as well as for more domestic uses; tiles, wall cladding, flooring and worktops. Can I see the granite before installation/ordering? Yes. We have a large number of samples in our granite showroom and we also have a large factory warehouse in which you can view the full size slabs of granite and reserve your favourite slab of granite before we proceed with manufacturing. 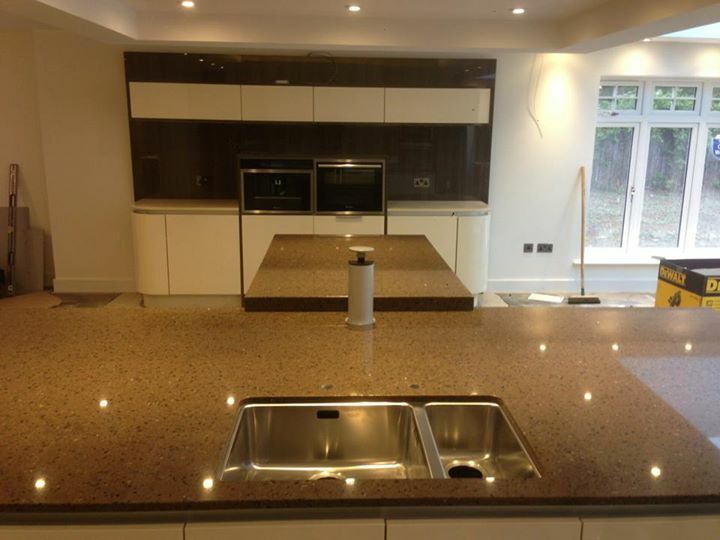 Quartz worktops are made up of 94% natural quartz, which make it extraordinarily hard and resilient. This is the one and only worktop surface that is made up of quartz with anti-bacterial protection, giving it hygienic properties that are not found anywhere else on the market. Its surface is highly resistant to stains and scratches and has a low level of fluid absorption. 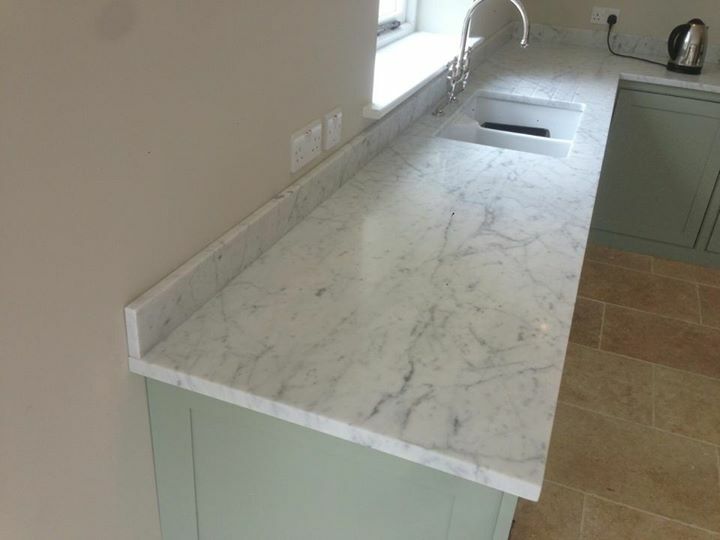 Quartz worktops comes in a variety if different colours offering a number of decorative solutions, including worktops, bathrooms, floors etc. Can I see the Quartz before installation/ordering? Yes. 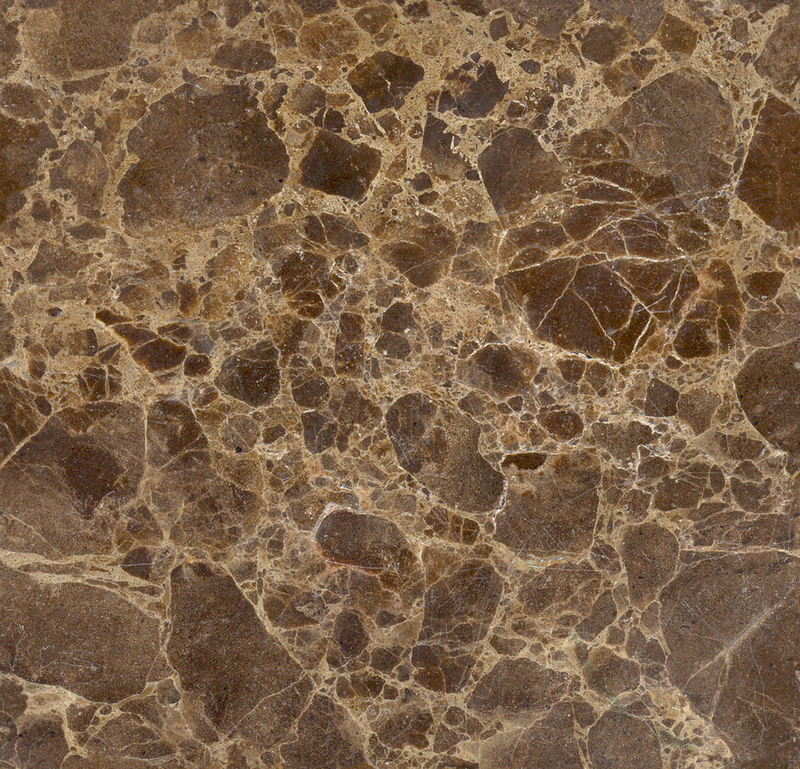 We have samples in our showroom and the quartz slabs are often stored with the manufactures. Because quartz is highly impervious to stains, it will withstand exposure to tea, soda, wine, vinegar, lemon juice and strongly coloured spices. General cleaning can be done with a damp cloth and a little liquid detergent. For more stubborn stains we recommend a specific cleaner called Q-Action. Or the household cleaner CIF Original can be used with a soft cloth and rinse thoroughly afterwards. Do ensure that once you have used any cleaning products on the quartz that you rinse all residues from the quartz surface otherwise this can cause the surface shine to dull. Even though both marble and granite are quarried from the earth, they are both different from each other. Marble starts out as sediment settled at the bottom of bodies of water, formed from silt, animal bones, shells and other plant matter. After millions of years this then solidifies into stone. Granite if formed by crystallized minerals at extremely high temperatures. Due to the calcium content in marble it can be affected by acids in citrus fruit and drinks and also vinegar. 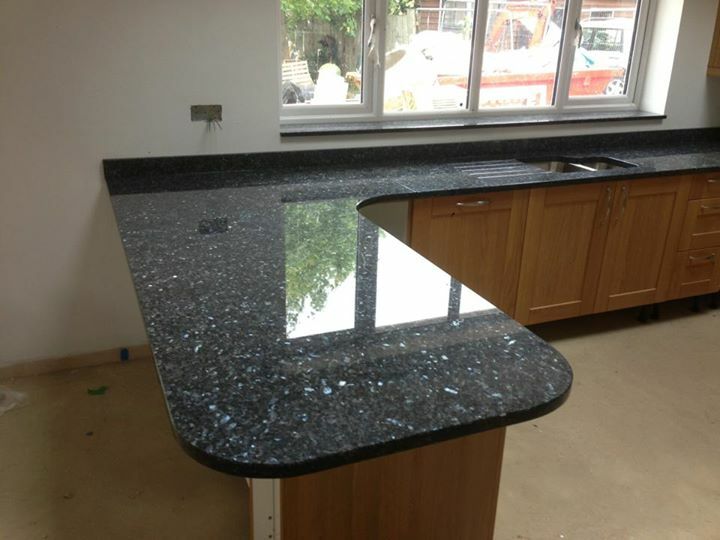 Should I use Granite or Marble for my worktops? Although most uses of marble are for bathroom vanity tops, around baths, window cills and fireplaces, it is possible to use it in the kitchen. However, we don’t recommend it due to the fact that it is easy to scratch and can be etched by acidic substances, such as vinegars, ketchups, citrus fruits etc. The high-gloss of the marble countertop can be partially lost as many chemicals etch its surface. Granite in turn is considered the second hardest stone, its polish is not subject to etching by household acids under normal use. Do not leave spillages of the surface of the marble. Wash them off immediately. The longer the spillage is left on the marble surface the higher the likelihood of it penetrating the stone. Avoid putting beverage glasses or cups down on the marble. There may be traces of liquid on the base of the glass or cup and this may leave a ring mark on the marble surface. Use coasters. Do wash your marble with luke warm water and buff dry with a clean dry cloth to avoid streaks. Do not use any abrasive cleaners on marble as this will more than likely damage the surface of your marble. Do not use any type of acidic cleaning products as these will damage the surface of the marble.